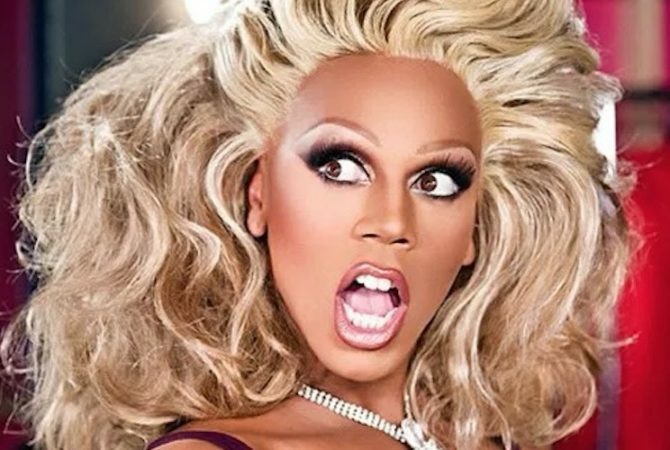 Drag is about sisterhood and working together, but RuPaul‘s Drag Race is a reality show, and reality is about DRAMA. 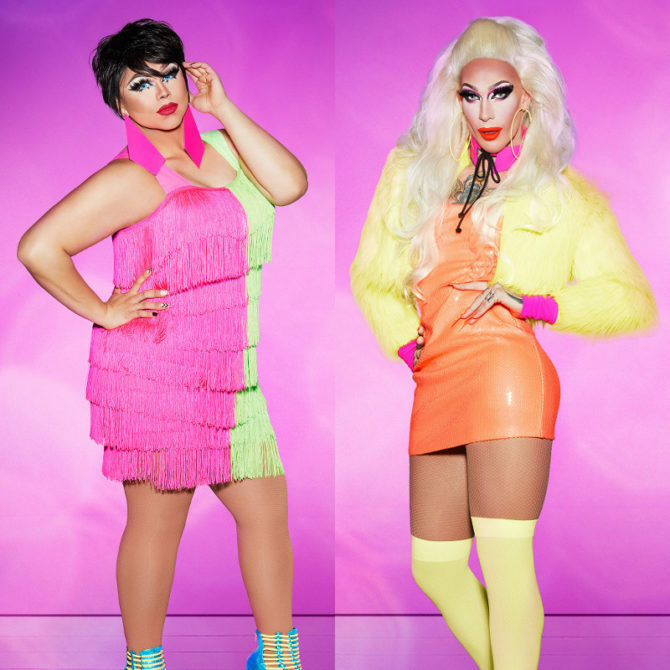 Plenty of people criticized the season 9 queens for being too sensitive and apologetic, but this year’s crop of hopefuls seems primed for a more antagonistic quest for the crown. Based on the first episode (and some wild, probably unfair speculation), here are some predictions for potential showdowns that we hope to see. Because of their similar facial structure, they’re doomed to be compared in every challenge. It’s every woman for herself in this game, but it can be tough to stand out from the pack when you’ve got a twin nipping at your heels. It’s basically a Highlander situation: there can be only one. She’s young, she’s hot, she’s Instagram famous, and she knows it. It’s tough to say whether she’s cultivating a character or legitimately that cocky, but Aquaria is already positioned as this season’s most divisive diva. I’m gonna take a wild guess and say that this muscle Mary stays away from Karbs. Neither competitor can stop talking about her body; let’s see if the queen of accepting yourself as you are can get along with the queen of pushing yourself through ten more reps.
I’m sorry, but the outfits, the hair, the name, the “twerking”… It’s time for her to go somewhere, because I am over the Rainbow (which is where she bought that entrance look). One’s a show-stopping musical queen from Indiana, and the other’s a punky misfit who prefers theater’s stranger side. Will Dusty, with her NYC street cred, have the patience for a wide-eyed youngster like Blair who has probably never walked a block on Broadway’s bustling pavement? Michelle tends not to like a signature look. If you’re a generic queen, she’ll never tell you to be less generic. On the other hand, if you always wear gray hair or always draw a white line under your eye or always splatter your face with dots, then she will for sure “challenge” you not do that. Dusty seems like the latest victim of this inexplicable aversion to uniqueness. 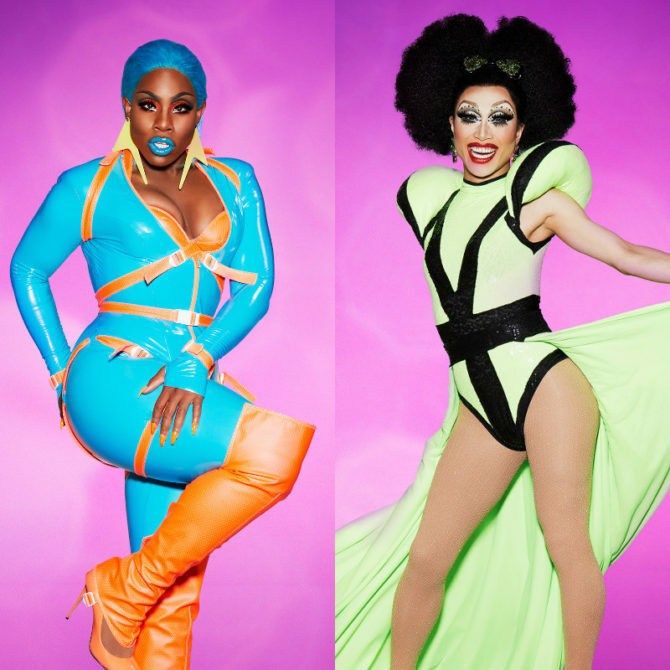 The Big Apple isn’t just known for its theater; it’s a drag Mecca that has brought home the crown for three of the past four seasons. The workroom was immediately buzzing about how many New York girls came out to play. They’re loud, they’re talented, they all know each other, and their outsized presence in the competition is bound to get some other ladies riled up. The self-proclaimed “here to fight” political artist from Chicago is spoiling for a rivalry of her very own, and she’s not picky about who’s on the other end of it. Already, she sees the potential in the Cracker / Aquaria feud, and made a point of inserting herself forcibly into the drama during Untucked. Get that screen time, girl. 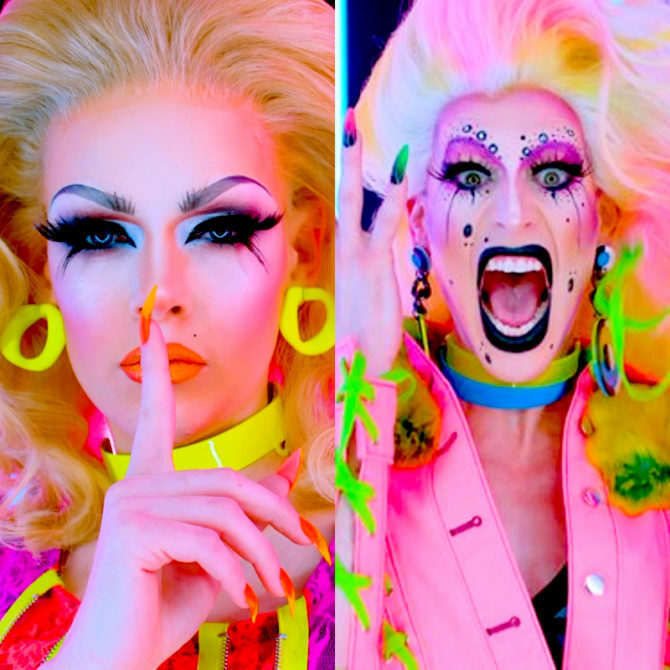 The stupid thing about Aquaria talking about “Miss Cracker” is that they are both thin with narrow faces, some of their makeup will look the same. 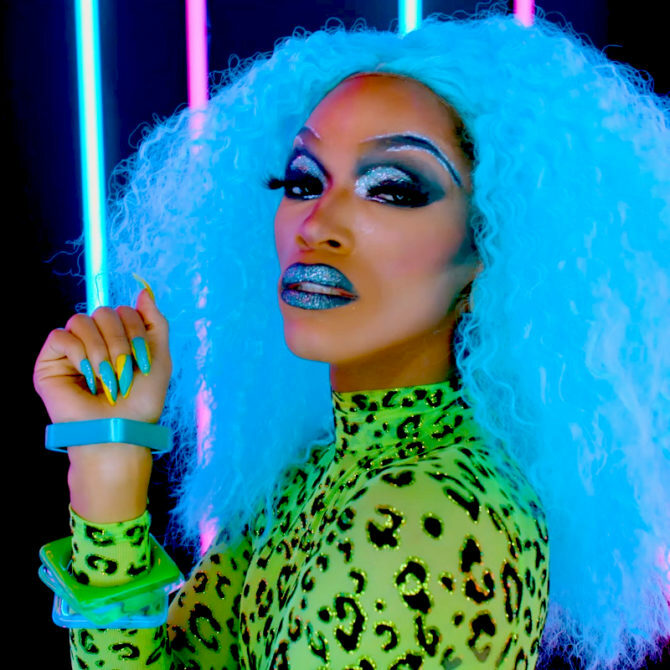 Additionally she claimed that Miss Cracker stole her make-up look for that episode, even though a few minutes earlier Miss Cracker was showing somebody else her pictures that catalogue her looks. Third, if Miss Cracker copied Aquaria why did Miss Crackers Look far outshine Aguaria’s? Fourth, it’s always the person whose cheating on their partner who acts the most jealous and accusatory towards others. Aquaria made a HUGE deal about being copied, even though watching the episode, I didn’t see why anybody would copy her. Sounds like SHE may be the copier. Lastly, Miss Cracker is Bob the Drag Queen’s daughter, I seriously doubt Bob would have an untalented daughter. 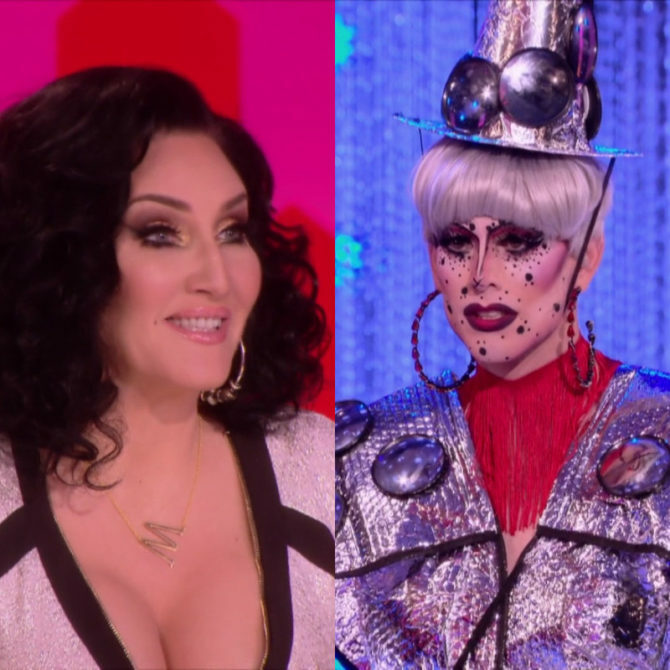 Plot twist: Aquaria is Sharon Needle’s daughter. “Twerking” is right. I can’t believe that none of Kalorie’s friends didn’t sit her down before the show and give her a reality check about her “skills” in that area.